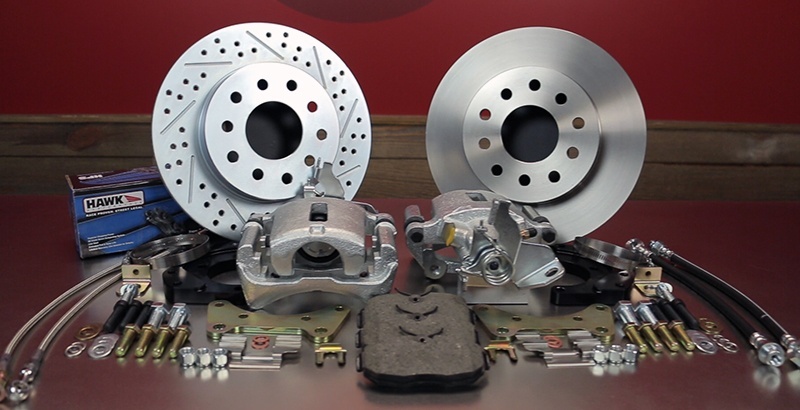 As a company, we recently finished a complete re-design of our Ford and Chevrolet Truck Rear Disc Brake Conversion Kits. We were so pleased with the results, we decided to look at what could be done with the kits we offer for the car applications as well. Upon further investigation, we realized a complete do-over was in order for these as well. Just like the truck kits, we didn’t want to make changes just to make changes. We wanted something better and we wanted more! The heart of the system and where we made the biggest change is in the caliper. 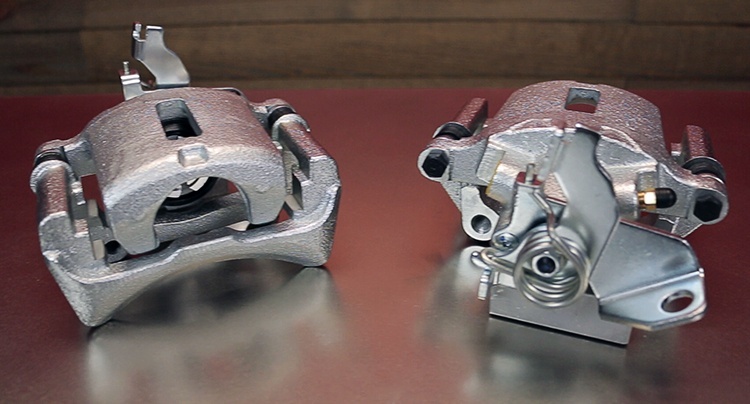 We have changed from the old style caliper to the more modern caliper used on late model Ford applications. This gives us a smaller piston that better balances with not only our front caliper options but also with many of the other front systems available on the market. It is still a floating caliper but with the cradle that is used to mount the caliper, the caliper can move more freely and therefore gain efficiency. One of big complaints in the old system was the park brake assembly in the caliper. 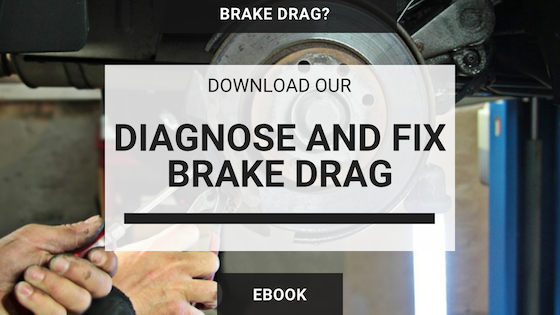 Getting the proper initial adjustment was always a chore and the park brake had to be used on a regular basis to keep the caliper in adjustment. With the new modern caliper, the park brake adjusts by a simple pull of the park brake lever one time. 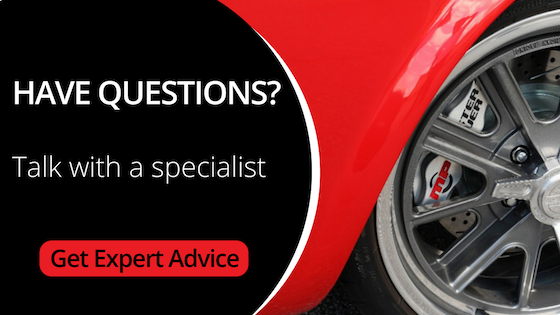 From that point forward, the caliper stays in adjustment by simply pushing the brake pedal. No headaches. No worries. For a rotor, we are using a vented rotor with a 11” diameter that is available in both a plain finish or as a slotted, drilled and zinc washed finish. 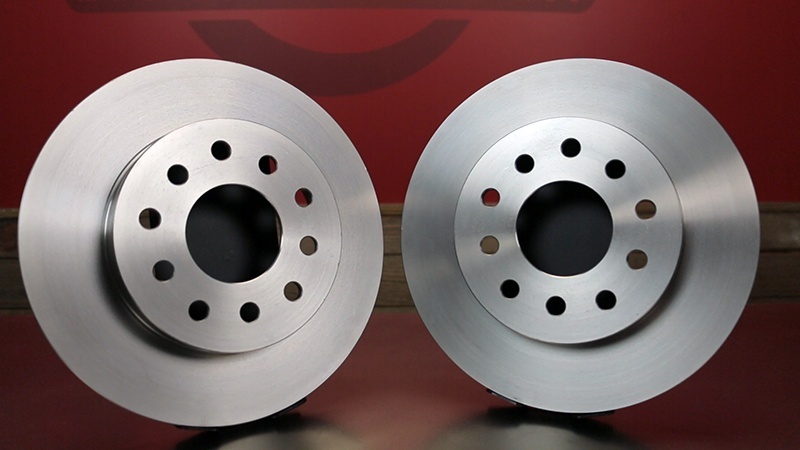 It’s size will allow fitments inside of most 15” wheels and to verify, templates are available. In addition, the rotor is drilled to accept either a 5 x 4-1/2” and 5 x 4-3/4” bolt patterns. Centering rings are also included to perfectly position the rotor on the axle flange making for a proper hub-centric installation. 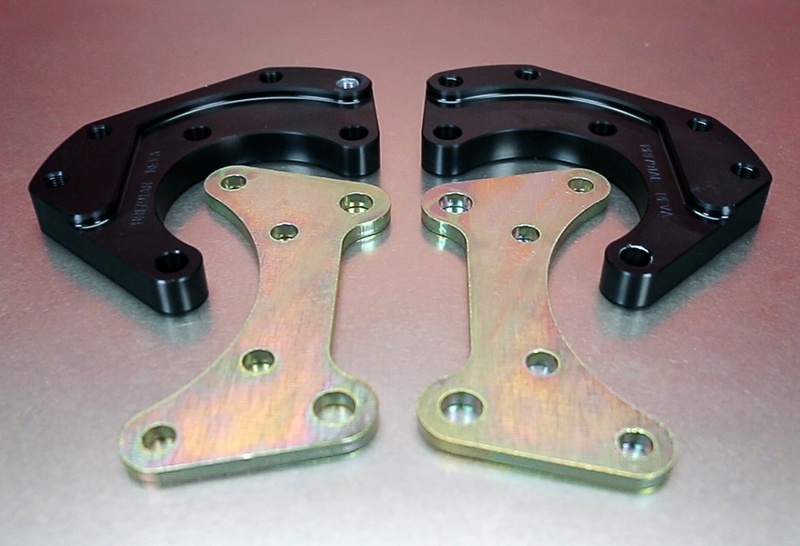 For mounting brackets, we have incorporated a base mounting bracket constructed from CNC machined billet aluminum combined with a laser cut steel bracket. All of the needed hardware and bushings are included in the system. We’ve put a lot of time and thought into the re-design of these kits and we feel the end result is a nice use of modern components blended into a classic application. 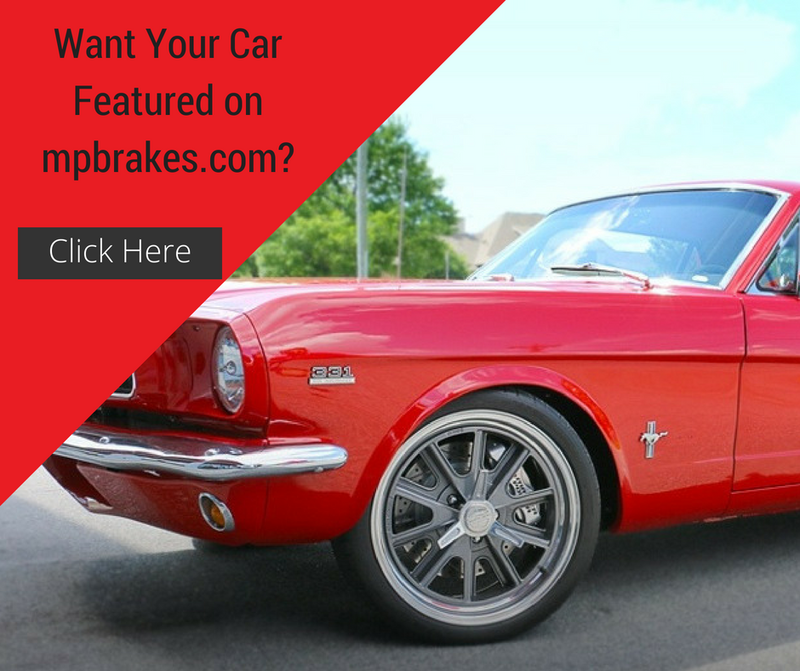 The installation is a breeze and the results are something you will notice each and every time you apply the brake. Kits are available for most common applications including the Ford Small, Big and Torino Bearing Flange, GM 10/12 Bolt rear ends with and without C-clips, GM Tri-Five and Impala applications along with Mopar Dana 60 and 8-3/4”. We are currently shipping these new kits! 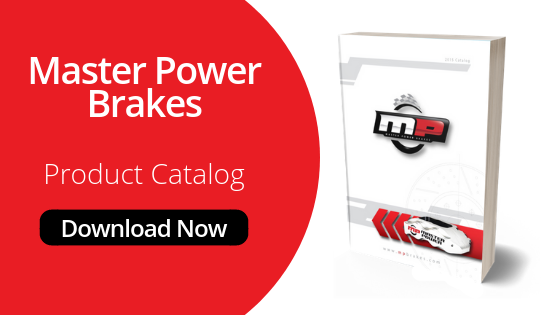 If you would like a better look at what our new rear disc brake conversion kits have to offer; check out the video below.